A few years ago someone told me that I ought to check out an outfit called the Acton Institute as a sound purveyor of Catholic social teaching. At my age I usually forget what people ask me to do, so I never got around to it. But just the other day I came across an article on the Acton Institute’s “Power Blog,” written by one Joseph Sunde, that made my hair stand on end. It would have been a pretty shocking read even if the Acton Institute wasn’t headed up by a Catholic priest. 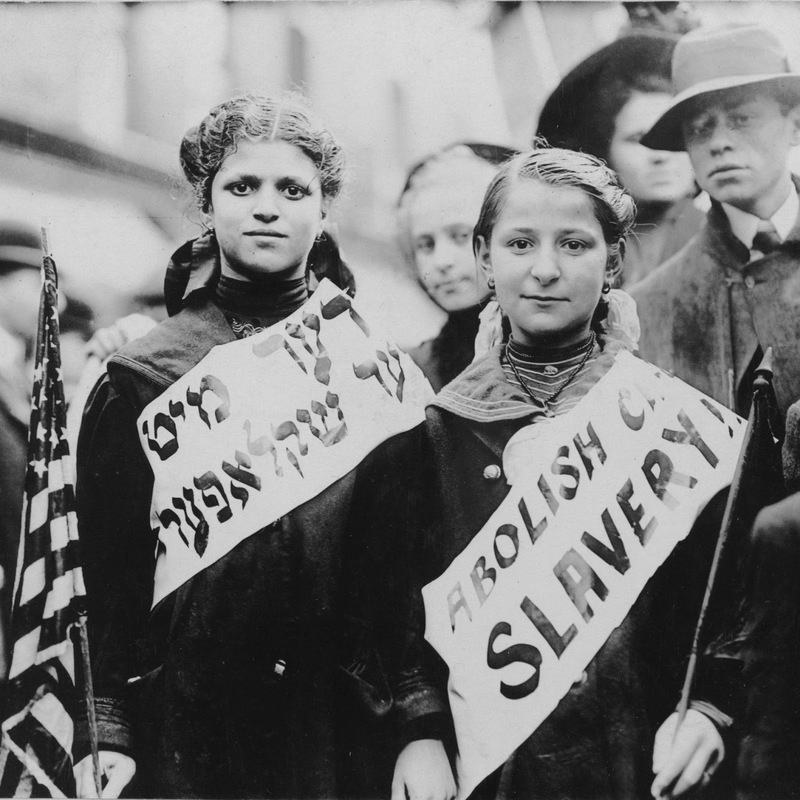 The title of the article: “Bring Back Child Labor: Work Is a Gift Our Kids Can Handle.” Yep. You read that right. “Click bait,” you say? Well let’s take a look at the article , which is mostly a panegyric to another article by one Jeffrey Tucker, writing for the Foundation for Economic Freedom. 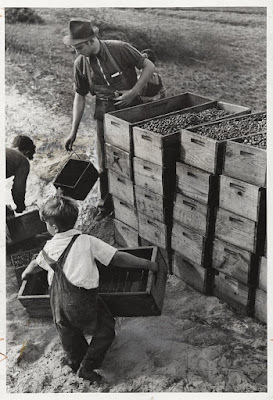 Mr. Sunde thinks we have let the bad old days of child labor, the “harsh excesses” as he puts it, distort our view of what a good thing child labor could be. The Washington Post, he insists, has been aiding in the distortion effort by having the temerity to put up photographs of actual child laborers from back in the day. To Mr. Sunde’s mind, depicting something in a photograph is a kind of misrepresentation. I suppose that’s because he doesn’t want to see what he’s arguing for, he just wants to think about it. Now you might follow the link to see those pictures, and you might find it disturbing. If so, Joseph Sunde thinks you’re just a softy. You know what he sees? He sees “the faces of those who are actively building enterprises and cities, using their gifts to serve their communities, and setting the foundation of a flourishing nation, in turn.” That’s right. Where you might see a human tragedy, he sees productivity. And he thinks of these children as “using their gifts.” It doesn’t occur to him that what gifts those children had would have been squelched in such an oppressive environment. He also shares with us the perspective of the object of his admiration, Mr. Tucker, whom he quotes at length. Mr. Tucker also has something to say about the pictures posted by The Washington Post. “I also think about their inner lives. They are working in the adult world, surrounded by cool bustling things and new technology. 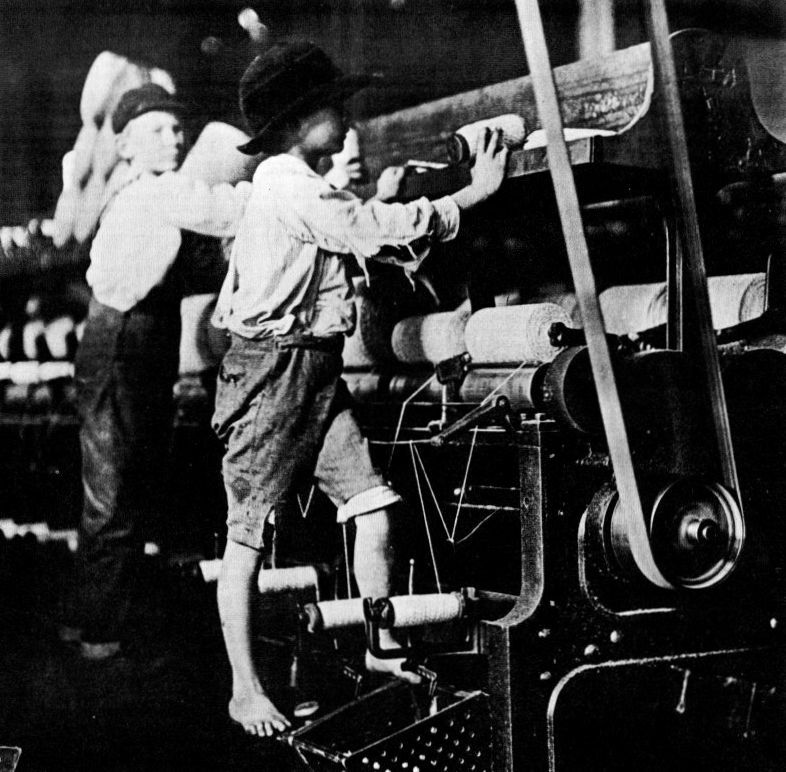 They are on the streets, in the factories, in the mines, with adults and with peers, learning and doing. They are being valued for what they do, which is to say being valued as people. They are earning money. “Whatever else you want to say about this, it’s an exciting life. You can talk about the dangers of coal mining or selling newspapers on the street. But let’s not pretend that danger is something that every young teen wants to avoid. If you doubt it, head over the stadium for the middle school football game in your local community, or have a look at the wrestling or gymnastic team’s antics at the gym. “If kids were allowed to work and compulsory school attendance was abolished, the jobs of choice would be at Chick-Fil-A and WalMart. And they would be fantastic jobs too, instilling in young people a work ethic, which is the inner drive to succeed, and an awareness of attitudes that make enterprise work for all. It would give them skills and discipline that build character, and help them become part of a professional network. Just think of the possibilities! Instead of kids wasting time with all that book learnin’, they could be learning valuable skills stocking shelves at Walmart. Of course, you wouldn’t have to pay the kids as much as you do the adults, so that would be a great incentive for companies to hire them, just like in the good old days. The kids can get out of school, and corporations can increase their profits. A win-win for everyone! Of course, you just know that old spoil-sport, Pope Leo XIII, had something to say about this sort of thing. There goes ol’ Leo again, trying to get in the way of profits. What the Holy Father said is just common sense, of course. Children can’t develop properly if you put them to work too early. Sure, they can help out on the farm according to their ability, if they live on a farm. And I had a paper route as a kid. But to put them into the ordinary work-a-day world? That, as they say, is out to lunch. Whoever it was who told me that the Acton Institute is a place to find Catholic social teaching was a little misguided. This article I read isn’t Catholic social teaching at all. At all.